Many Lafayette car owners can be found behind the wheel of a MINI; having a blast in their street-legal, adult-sized go-karts. Whether you drive a MINI Roadster, Countryman, Coupé, Clubman, or Convertible, you want to keep it in tip-top condition. So when it comes to car repair and maintenance for your MINI, trust the auto mechanics at Guaranteed Automotive & Transmission Service. We have the tools and techniques necessary that will allow your MINI to provide you more years of automotive joy. 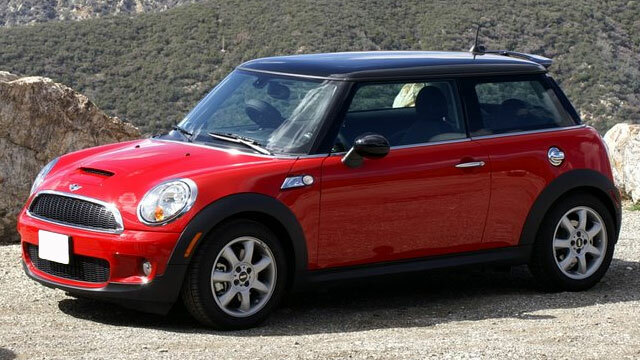 When our auto mechanics perform car repair on your MINI, you can leave confident, knowing you’re covered. We stand behind our work with a variety of warranty options. Ask for warranty details. Guaranteed Automotive & Transmission Service has been a member of ATRA since 1986. So the next time your MINI is in need of expert car repair, trust it to the auto mechanics at Guaranteed Automotive & Transmission Service. We’ll have you back on the road in no time. Schedule an appointment online , call us or stop by. Guaranteed Automotive & Transmission Service is conveniently located at 3742 State Rd 38 East Lafayette, IN 47905.